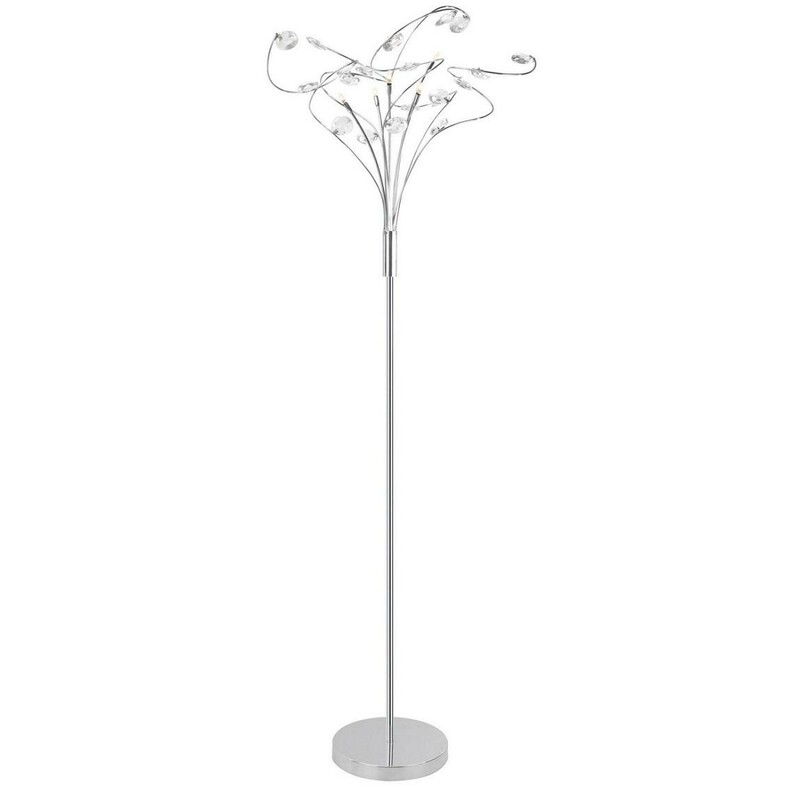 This floor lamp complements a modern living space with its delightfully elegant design. Designed with a minimalist silver tube, this contemporary home accessory splits into multiple spiralling stems with clear crystal embellishments to add a delicate flourish to the room. It requires 5 x 20W G4 halogen bulbs.